The Liver and Gallbladder Cleanse has several names. Including the Gallbladder Cleanse, Gallbladder flush, Liver flush, Liver Detox, Liver and gallbladder flush, Liver cleanse, Gallstones Flush, Olive Oil Liver cleanse and a few others. The simple ingredients used for a traditional liver cleanse suggest that the principles of the liver and gallbladder cleanse are likely of ancient Mediterranean origin. The variations came much later. For as much as people are trying to peddle liver and gallbladder cleanses as herbal formulas, it may come as a big surprise to some that the actual liver and gallbladder cleanse, liver cleanse or gallbladder cleanse does not consist of taking a lot of herbal products. An herbal product for the purpose of achieving a liver and gallbladder cleanse will seldom, if ever work on its own in actually cleaning the liver and gallbladder. Save yourself the money, they are often just glorified purgatives and laxatives having only temporary benefits. This is a very old image showing what gallstones look like in the gallbladder and how they appear when they are expelled when doing the the liver and gallbladder cleanse. They may have different forms, shapes and colors but because they are generally made of a hardened fat, which is what bile tends to become with poor dietary choices. They float. At its core, a liver and gallbladder cleanse will involve Olive Oil or Walnut Oil combined with Lemon Juice or a similar fruit juice. Without this very simple and common food combination, no product will stand a chance on its own of actually removing the lodged or hardened waste that the liver and gallbladder may have been harboring for years; perhaps even decades! Having said this, a liver cleanse or gallbladder cleanse is one of the most useful of remedies. The beauty of the liver and gallbladder cleanse is that the average person may already have all the ingredients they need to do it right at home. That said, a proper liver and gallbladder cleanse must be approached with intelligence and some caution for the sake of maximum effectiveness and safety. For more information about the precautions that should be taken or considered prior to doing a liver and gallbladder cleanse, click here. Before Starting a liver and gallbladder cleanse a person should make sure that they have been having regular bowel movements for at least three consecutive days prior to the cleanse. It is up to the individual whether they choose to help themselves with a simple but bitter tea of made of cascara sagrada bark made by boiling a teaspoon of the bark for about 5 minutes to help them out. Epsom salts can be used but, it’s a bit of a toss up as to which of the two is most palatable. If you are going to drink something disagreeable anyway, the Cascara is likely the better choice as it has traditionally been used to support Gallbladder functions. The most common method for doing a liver and gallbladder cleanse as first written about by herbalist Frank Roberts in about the 1950′s. His liver and gallbladder cleanse requires that you start early in the morning on an empty stomach, on a day when one is not working and not likely to be disturbed. Starting on an empty stomach taking one ounce of freshly squeezed lemon juice (no bottled lemon juice) with one ounce of extra virgin olive oil on an hourly basis, 11 – 16 doses are taken in the course of the day. This liver and gallbladder cleanse method although very, very effective requires a strong stomach, an extreme love of olive oil, and because of the sometimes very strong taste of olive oil, a concentration capable of putting mind over matter in a very big way for some. Many countless thousands of people have used this method and were extremely happy with the results. Some have even used variations of freshly squeezed lemon juice, apple juice, grapefruit juice or even apple sauce to mix with the olive oil in the separate doses of olive oil while doing this version of the liver and gallbladder cleanse. It provided variety to the palate and they managed to get all the oil down with it. Among the variations of the “classic” liver and gallbladder cleanse that is just as effective but, far more palatable for some, simply uses organic Walnut Oil rather than olive oil. This liver and gallbladder cleanse method can be done exactly like the one shown in method one just above or, it can start by running a 16 ounce bottle of walnut oil under the hot water. This will somewhat “thin” the consistency of the walnut oil without diminishing its effect. Mix about 4 ounces of the walnut oil with an equal amount of organic apple juice. Stir it together and drink. Followed by a tablespoon or so of freshly squeezed lemon juice. The taste and consistency of the walnut oil compared to the olive oil is hardly noticeable and therefore far more palatable. Often within a two hour period or less everything is “down.” Those who have tried this liver and gallbladder cleanse method say it is the easiest and just as effective as using olive oil. There are minor variations of the previous two liver and gallbladder cleanse s. Paul Bragg suggests to fast on plenty of apple juice with some apple cider vinegar for one week prior to a liver and gallbladder cleanse. Not a bad suggestion. It will assist greatly by clearing the digestive tract, removing anything in the way of the cleanse. Hanna Kroeger suggests a two day fast on apple juice before taking, on the evening of the second day of fasting, a cup of olive oil can be taken straight for those who like olive oil or by the tablespoonful until consumed over a period of a few hours with some lemon juice. These liver and gallbladder cleanse methods work, varying only by degree. Some have suggested Coca-Cola as part of a liver and gallbladder cleanse. Coca-Cola!!!??? Of all the junk to have to ingest into an already ailing body why would anyone chose Coca Cola. If it were the original formula of the early 1900′s which was totally natural, and indeed an excellent tonic on its own – maybe, but, present day Coke is known to be artificial in every way and not the “real thing” it used to be. Apparently, it is recommended to make the liver and gallbladder cleanse easier by masking the flavor of the oil. If the walnut oil is used it requires little masking as it’s flavor is not that intense. If Coca-Cola has been useful in doing a liver gallbladder flush then you can get the original coca-cola syrup as recommended by Edgar Cayce, mix it with some sparkling mineral water and presto you have real Coca-Cola that is not artificial. Some suggest the use of Epsom salts in addition to these amounts of oil. Epsom salts are magnesium sulfate salt. Being composed of two “warming” and “expanding” substances, it basically provides a laxative effect. If one considers that by these two already mentioned liver and gallbladder cleanse methods, they would have just ingested 16 ounces of oil – what more in the way of a laxative need be taken? That said, there is a place for Epsom Salts in a liver cleanse as is described below. The following method is a modification and/or combination of the best parts of the previously mentioned liver and gallbladder cleanse methods. It is a variation developed by Dr. Hulda Clark. Although some have found the Epsom Salts to be less than savory, this method is by far the easiest on the palate to most and at least as effective as the above described methods. In Hulda Clark’s variation on the liver cleanse there is more protocol to follow but, less oil to swallow – This liver and gallbladder cleanse is sounding better already. Olive Oil: 1/2 cup (4 ounces) Note: Light olive oil can be used but, organic Walnut oil works just as good and has a minimal taste. Fresh Pink Grapefruit: 1 large or 2 small, enough to make 2/3 to 3/4 cup of juice – buy an extra one just in case. 1 – 2 large plastic straws to drink the combination with. A glass jar that can hold at least a pint. NOTE: Some have found the use of a strong Cascara Sagrada tea to be just as effective as the epsom salts and, although bitter, many have stated that the tea is more palatable but only by degree. Click here for more info on Cascara Sagrada Tea. Note: A liver and gallbladder cleanse will affect your sleep on the evening that you decide to do it. For this reason this method also included 4 – 8 caps of the amino acid Ornithine to help you sleep. Many people find that they do not need it. As before, this liver and gallbladder cleanse is best done on a day when there are few demands on the individual with a following day to rest and to allow the cleansing process to take its full course – a weekend is a good idea. Similar to the Hanna Kroeger liver and gallbladder cleanse; on that day avoid all unnecessary vitamins, supplements, pills etc. Eating only easily digested foods such as cooked grains/cereals, fresh fruit, fruit juices, good whole grain breads, honey, baked potatoes and the like until 2 pm. No more food should be eaten that day after 2:00 PM. This relaxes the organs before the cleanse. Eating after this time will result in possible stomach upset and generally interferes with the liver cleanse. From this point on the timing is critical so be sure to precisely follow the times indicated also, do not worry about eating for the rest of the day as you will likely not feel hungry but you may find yourself going to the bathroom because of the Espom salts. At 6:00 PM it is time for the first serving of Epsom Salts and water as described above. If more than one glass of water is needed to help rinse the mouth, that is fine. In the mean time the oil and juice can be placed out to assume room temperature. At 8:00 PM it is time for the second serving of Epsom Salts and water. At 9:45 PM start preparing the oil and grapefruit cocktail. Measure 1/2 cup oil and 1/2 to 3/4 cup freshly squeezed grapefruit juice into a sealable glass jar. Remember that after drinking your oil and grapefruit cocktail you will be going to bed so prepare for bed and if you need to visit the bathroom do this in advance. After the combination has been swallowed go to bed right away laying flat on your back with your head elevated with pillows and lay still for about 20 minutes and then go to sleep. At this point or at some point throughout the night it is not uncommon to actually feel the gall stones moving through the bile ducts and for you to need to go to the bathroom to let them out as the liver and gallbladder cleanse takes effect. The Morning After take another serving of the Epsom Salts no earlier than 6:00 AM. If there is any indigestion or nausea wait until it passes before taking the Epsom Salts. Some take a tablespoon of dry oats to help the nausea pass. It works rather quickly. If you’d like, you can go back to bed. After 2 Hours the last dose of Epsom Salts is to be taken. If you wish to go back to bed again, you certainly may. After 2 More Hours you can eat. Remember to eat light, easy to digest foods. Fresh fruit juice, fresh fruit (not oranges), cooked oats etc. moving to more regular food later in the day. It also happens that the little gallstones can continue to pass in the course of the day. Note I: The effect of the Epsom Salts is not insignificant. Epsom Salts are Magnesium Sulfate. 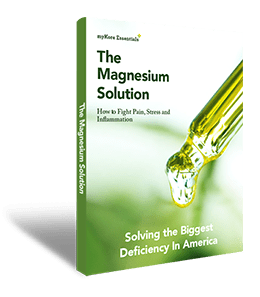 From the herbal point of view both the magnesium and the sulfur are considered “hot,” expanding (centrifugal) or “heat expelling,” therefore they provoke dilation. It makes sense that when ingested, will cause a mild dilation of the bile ducts as well as other vessels, and the bowels to void. This means that fluids will temporarily flow more freely through the body when it is taken. Do not underestimate the need to be near a toilet when doing this cleanse using Epsom Salts. When you feel the need to “go” you can be sure it won’t be just gas. Epsom Salts can liquefy the bowel movement so, you are well advised to stay home and take no unnecessary chances or excursions. Note II: This liver and gallbladder cleanse method uses Epsom Salts which to some are less palatable than the oil and grapefruit juice combination. To help make them easier to ingest they can be put into capsules and easily swallowed. Epsom salts are rather coarse. In their raw form it would not make sense to encapsulate them. Instead measure out one tablespoon of the salts and either grind them in a mortar and pestle or a coffee grinder until it is finely powdered and put them into capsules. One tablespoon of Epsom Salts makes about 24-25 hand filled capsules. Note III: The amounts of Epsom Salts mentioned here are a guideline. They can be adjusted from 1 teaspoon to 1 tablespoon based on how your body is affected by them. Note IV: Cascara sagrada tea can be used in place of Epsom Salts at the same intervals as the Epsom Salts should the Epsom Salts not be agreeable. A tea is made by boiling about 1 teaspoon of the cascara bark in about 1-1/4 to 1-1/2 cups of water for about 5 minutes. It is makes quite a bitter tea. Whether it is more or less disagreeable on the palate than the Epsom Salts depends on the person. This is not part of the Hulda Clark protocol for dong a liver and gallbladder cleanse. It is however what some people have tried in place of Epsom Salts and were pleased with the results. The Hulda Clark liver and gallbladder cleanse method emphasizes the need to do a parasite cleanse and kidney cleanse before a liver cleanse in order that the liver cleanse will go more smoothly. It is important to note that the use of the herb wormwood is used for this in her methods. Wormwood is an excellent herb that helps with all bodily secretions and gastric secretions in particular. Historically, it is known to improve digestion in every way. It has been used for this purpose for thousands of years. However, there is a general misconception about what wormwood actually does with respect to parasites. It should be stated that wormwood itself does not kill any parasites in the same way as an insecticide kills bugs. Wormwood is not a poison! It is an herb that provokes and restores internal digestive secretions. In so doing it helps breaks down undigested matter through increased pancreatic activity that merely deprives the parasites of their environment which is mainly comprised of non-digested bodily wastes which are both the environment and food of the parasites. If you deprive anything of its environment and food it will not survive. This is how and why wormwood works against parasites. Wormwood supports liver, pancreatic, stomach, lung, spleen and gallbladder functions through its ability to provoke secretions. The reason why people who feel less drastic an effect from doing these presumed necessary cleanses before doing a liver cleanse is not necessarily because they have been de-wormed but, because their overall digestion has been improved and some of their accumulated bodily wastes have been metabolized and disposed of. After that the liver and gallbladder cleanse will likely make anyone feel that much better. But, this is a little backwards. What is ignored in this liver and gallbladder cleanse method is the need to use an herbal remedy to help restore the Liver and Gallbladder functions after the cleanse. This is not something superfluous. After many years of encumbered liver and gallbladder function a suitable liver and gallbladder function formula is extremely and noticeably helpful as well as very necessary. See Below. Parasites or “worms” as they have been traditionally called, are in fact an ailment in itself and have their own causes. Although the possible origins of parasites are too many to mention here, it must be noted that, generally, parasites are an ailment that occurs when the body loses its equilibrium through eating too many strange, unnatural or adulterated foods or from exposure to unsuitable environments. Parasites can be, and are often present in conjunction with many other ailments but, they are NOT the cause of the other ailments. They do not cause cancer, although would be tumors are often nothing more than masses of encapsulated very fine parasites but, this does not make the mass of parasites an actual tumor. It is just a mass of parasites encapsulated within a membrane. A tumor is an entirely different ailment having its own specific causes and has nothing to do with parasites. This is also true of many other ailments. Parasites are usually an ailment within another ailment and there can be several different ailments present at any given time. Each needs to be handled separately for healing to be complete, otherwise the misconception that every ailment is removed by removing parasites arises. The effect of a liver and gallbladder cleanse normally takes place in the evening hours but can also continue into the following day. Most will notice soft green pellets floating in the toilet, or a soft yellow bowel movement. This is the expected effect of a successful liver and gallbladder cleanse. (Should this not occur the process needs to be repeated at some time in the near future until it does.) After this effect is observed it must be followed by two weeks to a month of strict vegetarian diet, no alcoholic beverages, no strong spices. Digestorum, Paracelsus Elixir or Paracelsus Anti-Toxin are helpful herbal products that can be taken for about two weeks to support and promote the functions of the main digestive organs. Of these three Paracelsus Elixir will likely be the most beneficial. The digestorum can also be taken at the same time but one should be taken before and the other after meals according to what feels best. None of these products need to be taken indefinitely. Some have said that this natural procedure will also remove kidney stones. It might, but, only in a completely indirect manner, if at all. The olive/walnut oil and Lemon juice do not enter the kidneys at all. A kidney cleanse is an entirely separate cleanse that is kidney specific. Those who are without a Gallbladder should follow a different procedure that will somewhat cleanse the liver and open up the bile ducts to aid in their digestion. One ounce of freshly squeezed Lemon Juice and one ounce of extra virgin Olive oil (EVOO) should be taken every night before bedtime for 4-6 weeks while observing a good clean diet. Digestorum or should be taken before meals and Paracelsus Elixir in water or, better still, in papaya juice, after meals for the duration of the intake of the olive oil and lemon juice. If nothing else the perpetual bloating associated with not having a gallbladder diminishes considerably. This procedure can be repeated as often as one wants to. Most do it once or twice a year. The result after about 30 – 60 days will be a soft yellow baby’s type bowel movement. The Lemon Juice and Olive oil and the above mentioned herbal remedies should be continued at least until the bowel movements return to normal. Those without gallbladders have also found that using a natural digestive enzyme perhaps used together with a probiotic to be noticeably beneficial. In fact, due to the lack of a gallbladder, they will need an enzyme for as long as they live. Many have also commented on how the Paracelsus elixir removes their bloating better than anything else they’ve tried. As a general precaution one should endeavor to not lean too far forward for obvious reasons (no picking up kids or tying on shoes). Do not do any exercising or eat anything except for maybe some apple juice. Walking in the fresh air is very beneficial because of how it aids the gallbladder, reclining is also okay as long as it’s not too flat. The expected nausea from drinking the smaller doses of olive oil is defeated by the relatively quick ingestion of the walnut oil substitute. People assume that it is the olive oil that is producing the nausea. It isn’t. It’s the toxins being released by the liver landing in the Stomach that create the nausea. By this quicker ingestion of the liver and gallbladder cleanse variations shown above, the liver toxins are not released into the Stomach before all of the oil has been taken. Usually with smaller doses over a longer period of time, the released liver toxins enter the stomach producing the nausea making the latter doses harder to swallow. This is the main reason why the walnut oil method is preferred by some or even most. It’s relative ease of execution also makes it easier and less dreaded should it need repeating. If desired a Liver and Gallbladder Cleanse can be repeated if there is no results but, no earlier than two weeks after the previous cleanse. Some people repeat this yearly in the spring or fall. Usually doing a liver and gallbladder cleanse at a one to a five year interval is quite beneficial and should help the average person keep major ailments away. Many also do it on a yearly basis just because it makes them feel great!! After a liver and gallbladder cleanse should a person choose to adopt a healthier lifestyle inclusive of good organic foods (not “health food” snack bars) and if this cleanse is repeated periodically through someone’s life they will likely not develop serious ailments. As long as the liver is kept healthy the aging process is slower. And, as long as the kidneys are kept clean bodily strength and mental clarity endure. NOTE: Incontinence is common with those without their gallbladders and even for those who have a clogged gallbladder. The cleanse helps many. However, dietary strictness, keeping warm in general and keeping the area of the kidneys warm in particular; keeping the feet warm and dry will help a great deal to strengthen the kidneys and bladder and aiding with incontinence. Also, what ever will strengthen the kidneys is also of benefit for incontinence. For this purpose do not go directly to a herb. Most organic red juices are quite helpful (organic red grape, current, cherry juices, red beet juice – not cranberry). Note: keep in mind that if you are prone to high blood pressure, red beets might increase blood volume and might make it rise higher in some. After many decades of endorsing the great benefits liver and gallbladder cleanse s we were surprised to hear Kevin Trudeau actually mention this extremely beneficial practice on national television. Hopefully, in time, it will be regarded with greater seriousness than ever before. Article from Amaluxherbal.com posted with permission. This post was generously contributed by Amadeus G. Babbo. Amadeus is a certified herbalist and has worked in the field for the past 35 years sharing his knowledge. Read Next: If you test positive on any of these 10 at-home tests, go see your doctor immediately!